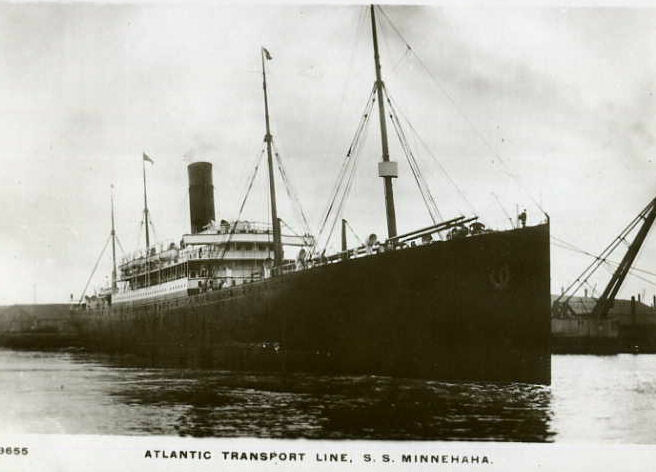 The steamer SS Minnehaha is sunk by a torpedo fired by U-48 twelve miles southeast of Fastnet in four minutes. Forty-three are killed including second mate Percival John Lewis who is killed at age 28. His brother died of wounds in July 1916. East of Gibraltar the steamer Brodmead (Master Duncan McQueen) is torpedoed but is able to reach port. Twelve are killed including her 40-year old master. Captain Reginald Morse Charley (Royal Flying Corps) opens fire on a German scout attacking a Sopwith scout and shoots it down into the sea. On the Lens front the British line of advanced posts in Avion and east of Eleu-dit-Leauvette push forward. Lieutenant Colonel Richard Percy Lewis (Devonshire Regiment commanding 1st/9th Manchester Regiment) dies of wounds from a shell splinter at age 44.He is a famous wicket keeper as a member of Marylebone Cricket Club. Chaplain 4th Class the Reverend J Ash (attached Royal Field Artillery) is killed in his billet through an airplane bombing attack at age 37. He is a Methodist minister. Major Andrew Graham Conran Smythe (Royal Garrison Artillery) is killed at age 34. His brother died of wounds in November 1914. Private Louis Edgar West (Quebec Regiment) is killed on Vimy Ridge at age 23. His brothers were killed together in April of this year. Private John Catto (Seaforth Highlanders) dies of wounds at age 24. He is the middle of three brothers who will lose their lives in the Great War.